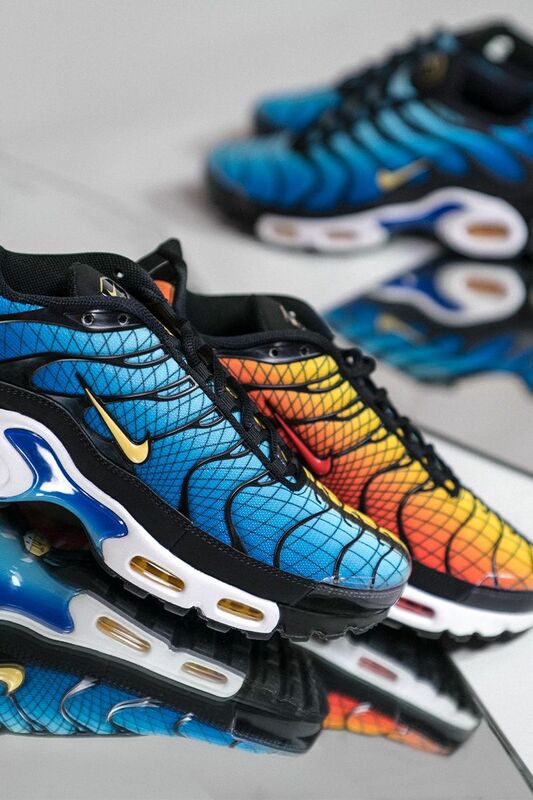 Since its introduction 2 decades ago in 1998, the Nike Air Max Plus has become a staple of the sneakerhead community. The iconic model became instantly popular, earning the nickname ‘TN’s’. The innovative, instantly recognizable silhouette is coupled with a bold and dynamic combination of iconic colorways and detailing to create the stand out ‘Greedy’ Special Edition. In celebration of the 20th anniversary of the TN, the ‘greedy’ instalment of the shoe takes us on a nostalgic trip down memory lane with a unique new twist. 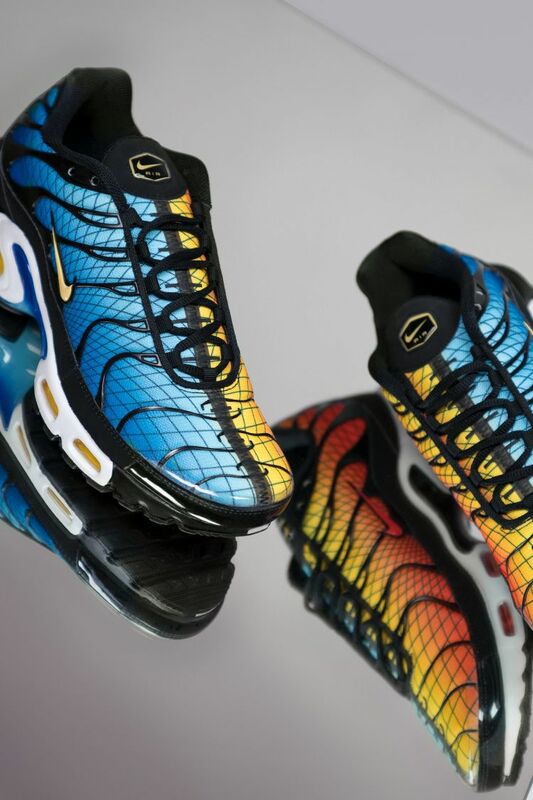 It infuses the popular, OG Hyper Blue, the bold ‘Sunset’ colorway and the iconic grid detailing as seen on some of the early 2000 TNs, and a favorite amongst the ever growing TN community. This creates a shoe that encapsulates and embodies the true essence of the TN and it’s global influence. The split ying and yang nature provides a balanced, bold, and dynamic take to the silhouette which serves as the foundation of the shoe. Key features have stayed the same on this model, namely the legendary air max units, and ‘wave’ detailing, as well as the standout ‘TN logo’ giving a reassuring familiarity to this never seen before, ‘Greedy’ Special Edition. 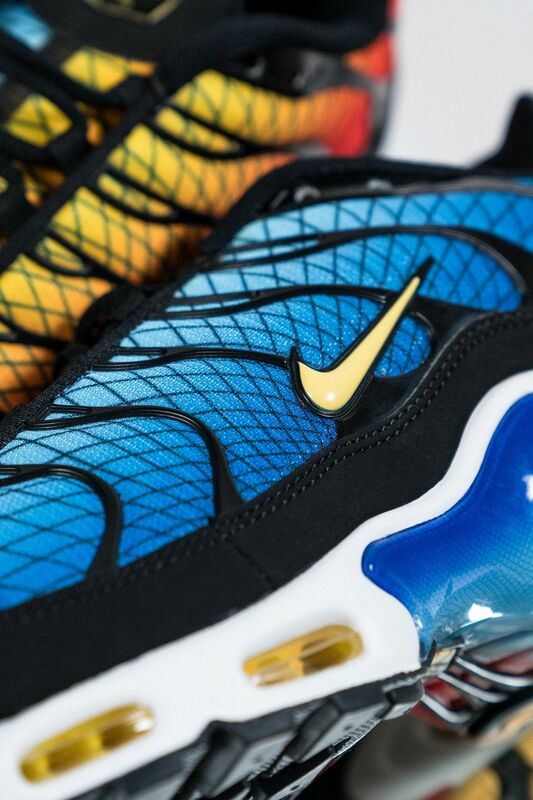 This combination of memorable colorways and features, creates a story as unique as the Air Max Plus itself. Even the most insatiable TN fanatic will be satisfied with this Greedy instalment.